When you're new, writing fiction is by its very definition a hobby. If you want to turn this into your life, you have to take a professional approach. That means a professional work ethic, and a developing a professional process to follow in creating new work. Publishing to Kindle, Kobo, and Nook. 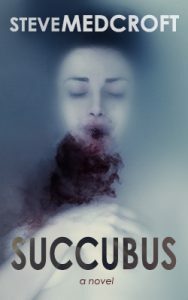 This week, I published my first novel (Succubus: a supernatural suspense thriller) in three fiction eBook marketplaces; Kindle, Kobo, and Nook. I'll show you the process I went through to get the files in shape and the book properly posted on each site.